In March 1925 a huge fire erupted at Madame Tussauds, the famous waxwork museum on Marylebone Road. 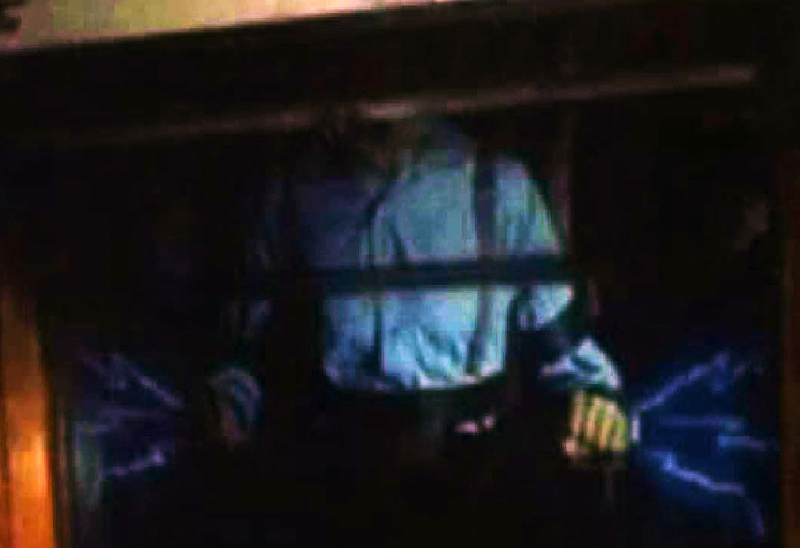 The two unsettling images below depict damaged dummies which were salvaged from the building’s smouldering ruins. 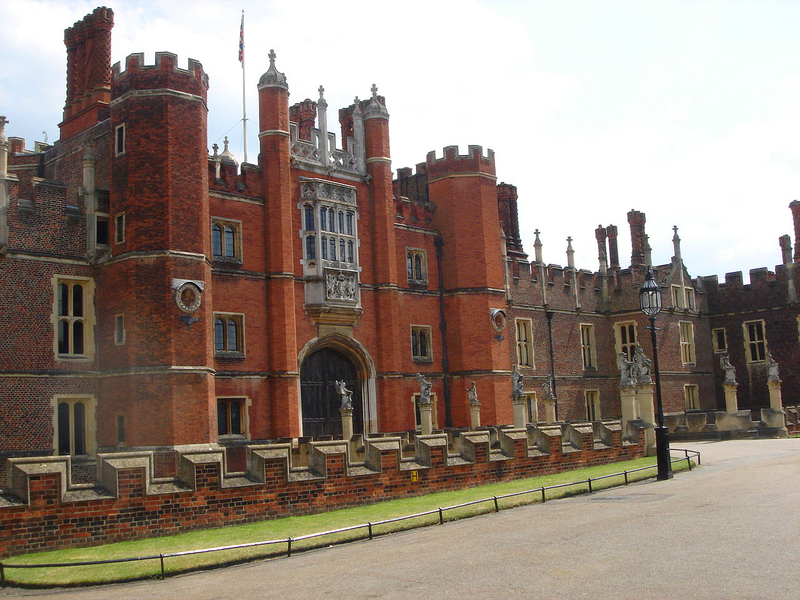 With a history dating back some two thousand years it’s hardly surprising that London is widely considered one of the planet’s most haunted cities. 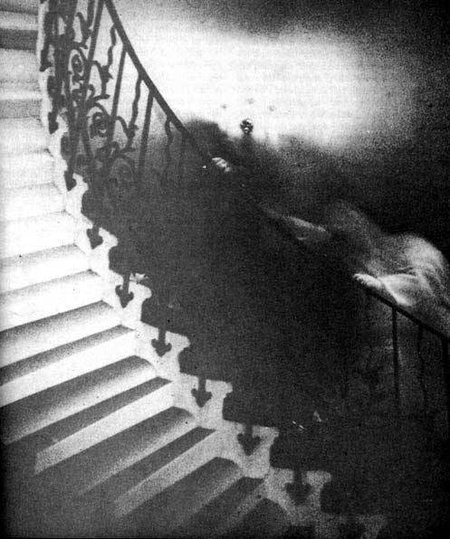 This haunting image was taken by Reverend R.W Hardy, a retired Canadian who was visiting the Queen’s House with his wife. 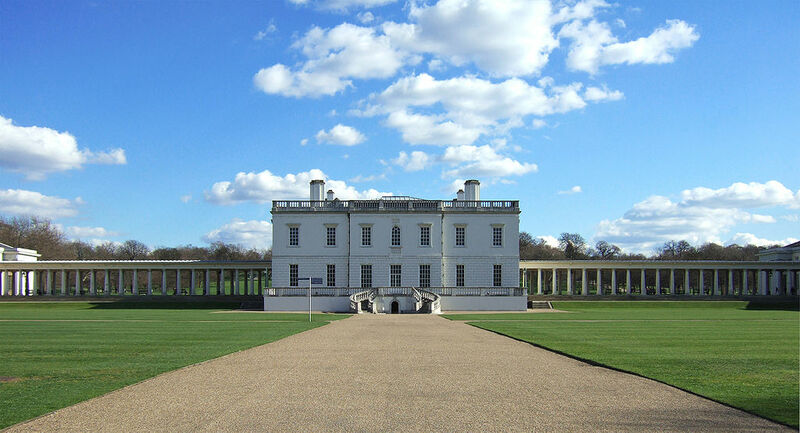 Commissioned in 1616 by Anne of Denmark (wife of James I) Queen’s House was designed by pioneering architect Inigo Jones and stands beside the National Maritime Museum in Greenwich. 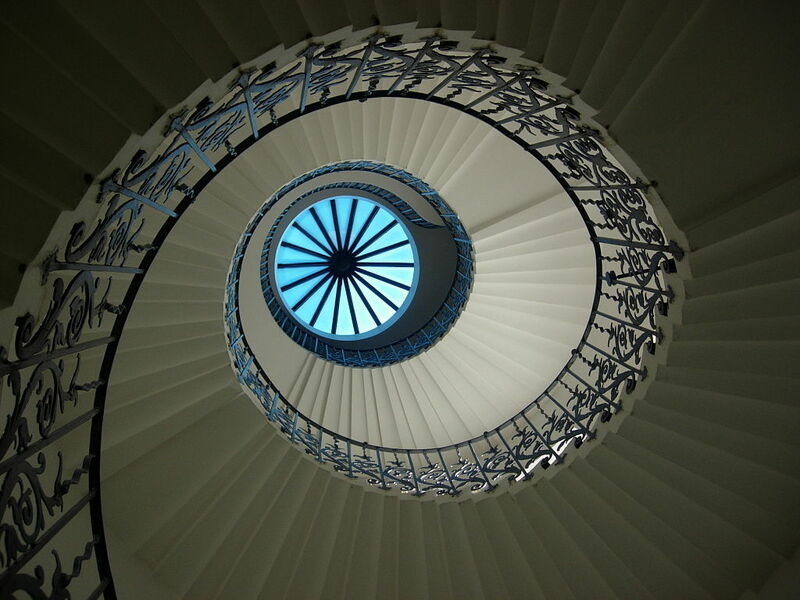 A major feature of Queen’s House are the Tulip Stairs; the elegance of which drew Mr and Mrs Hardy to the building. When the photograph was taken, Reverend Hardy was simply interested in recording the architecture- no other figures were visible and whilst he framed the shot his wife checked to insure no passers-by were around to spoil the frame. The staircase was also roped off, complete with a ‘No Admittance’ sign. Yet when Mr and Mrs Hardy had their photos developed back in Canada, the Tulip Stairs revealed a pair of mysterious, robed figures clutching the railings. Photographic experts have examined the original negative and found no signs of tampering. “Something caught my eye… I thought at first it was the girl who did the talks at weekends, then realised the woman just glided across the balcony and went through the wall, west side… the lady was dressed in a white-grey colour, old-fashioned, something like a crinoline-type dress“. 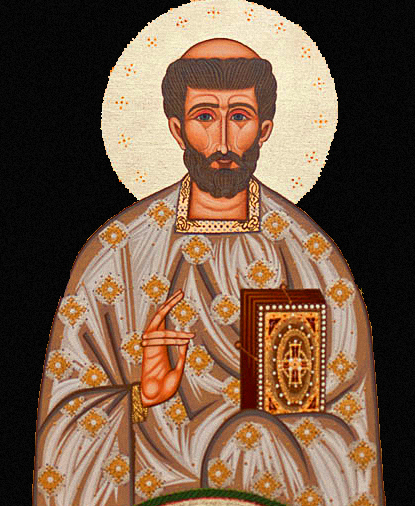 Hailing from 7th century East Anglia, Botwulf of Thorney– more commonly known as Saint Botolph– is the patron saint of travellers which is why, during the medieval era, four London churches were dedicated to his name, each built beside one of the city’s gates so that those embarking on a journey could pop in and pray for a safe trip. 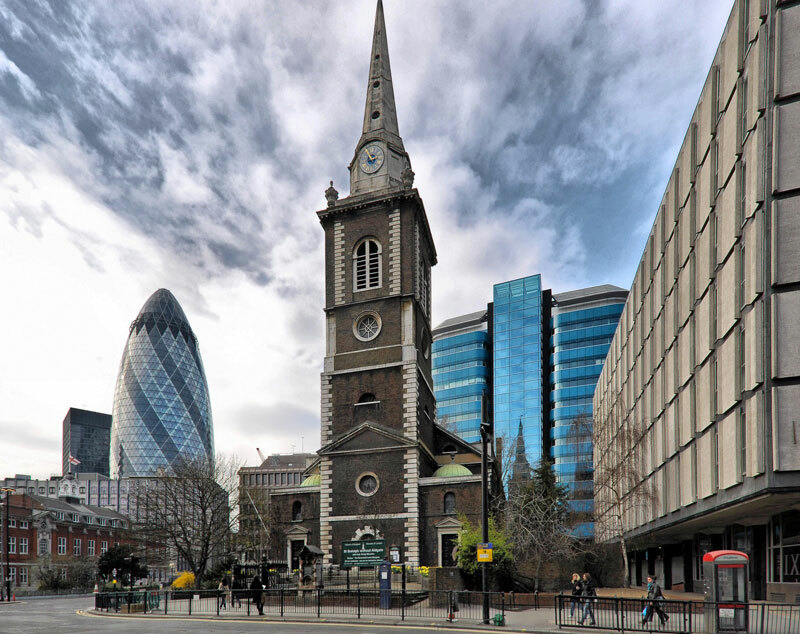 Although one of St Botolph’s churches (which stood at Billingsgate) was destroyed in the Great Fire, the other three remain at Aldersgate, Bishopsgate and Aldgate. St Botolph’s, Aldgate (officially named St Botolph’s Without Aldgate) has been rebuilt several times; the current building dates back to 1744 and was designed by George Dance the Elder. 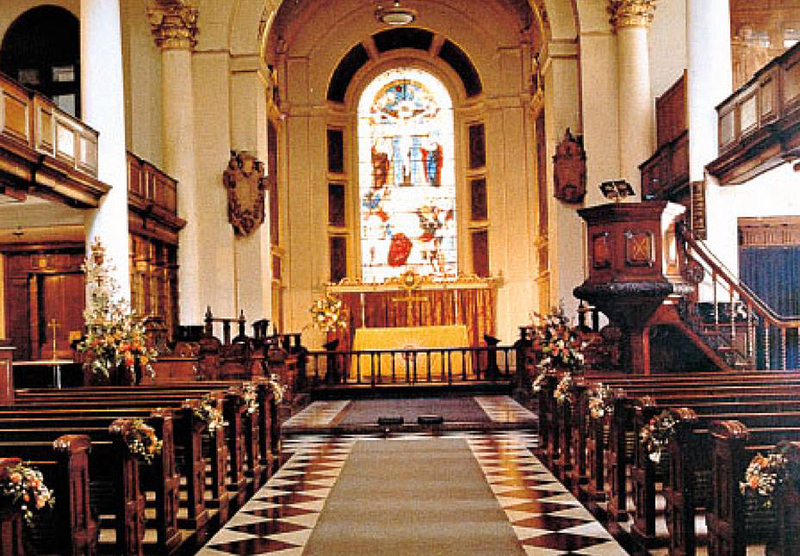 A stone’s throw from Whitechapel, St Botolph’s Without Aldgate was known as the ‘Church of Prostitutes’ during the Victorian era as the women of the night used to stay close to St Botolph’s walls in order to avoid police harassment. 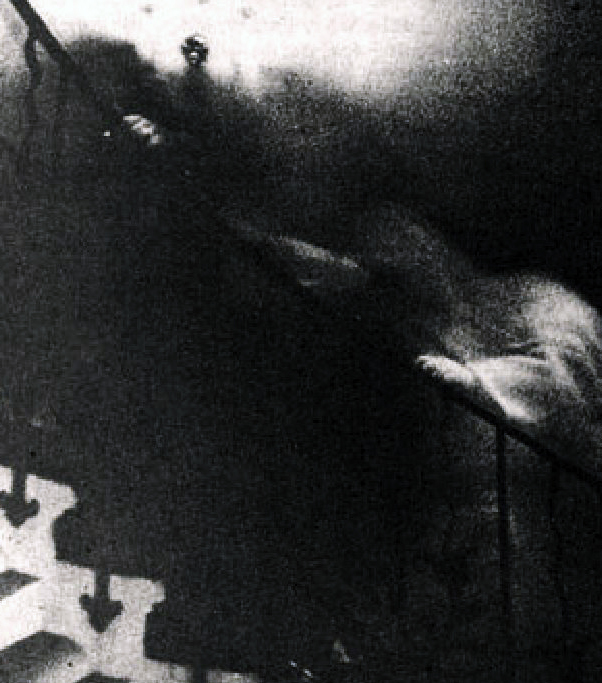 The famous picture of a ghostly figure in period dress peering down from the church loft was taken by Chris Brackley in 1982. 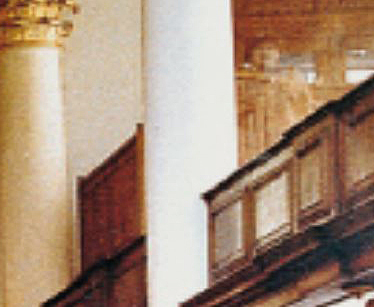 At the time, Chris was aware of three other people in the church- none of whom were in the upper level. Experts examined negatives and concluded that no tampering or double exposure were evident. 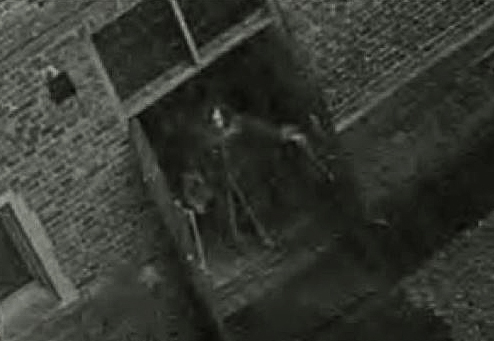 Nicknamed ‘Skeletor’ thanks to his resemblance to the villain from 1980s cartoon, ‘He-Man and the Masters of the Universe‘, this spook was captured on CCTV at Hampton Court, the huge palace on London’s south-western outskirts which was originally built for Cardinal Thomas Wolsey and later snapped up by Henry VIII. During late 2003, an alarm was activated indicating that a set of fire-doors had been opened- yet staff found the exit firmly closed and nobody in the vicinity. But when examined the CCTV footage suggested a very different story, showing a bizarre figure quickly flinging and slamming the doors. Other cameras focused on the area behind the doors showed the building to be empty. 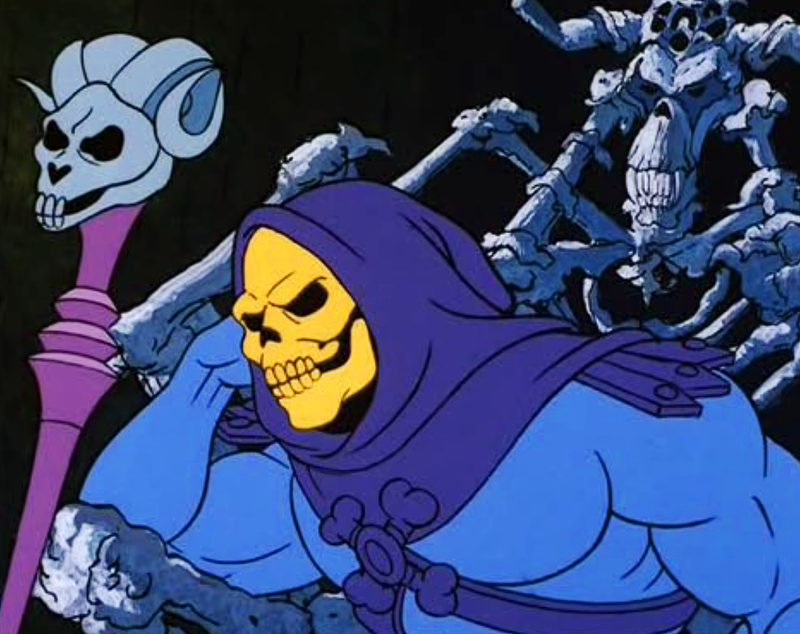 The Skeletor figure made headlines around the world, and it is reported that some staff at Hampton Court are now reluctant to work within the supposedly haunted area. This bizarre image was clicked inside the carriage of a Bakerloo line train by Watford resident, Karen Collett whilst on a day trip to London with her family. 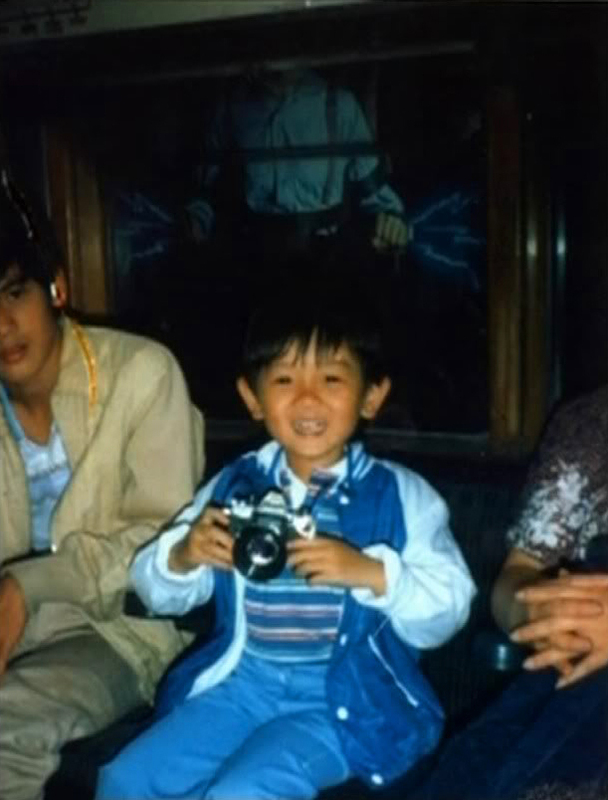 The sinister figure in the window behind Karen’s nephew is a disconcerting mix of the known and the unexplainable. 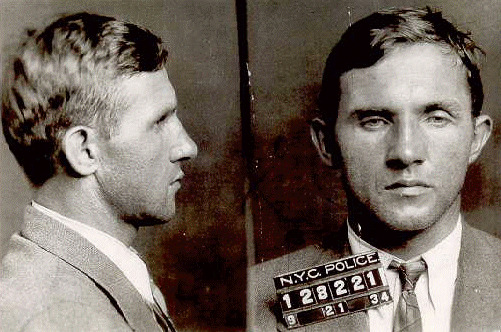 It is generally agreed that the ghostly figure depicts the wax effigy of Bruno Hauptmann; a convict sent to the electric chair in 1936 for his part in the kidnap and murder of Charles Lindbergh’s infant son. When Karen took her photograph in the early 1980s, Hauptmann’s wax figure was on display in Madame Tussauds Chamber of Horrors section- a venue which the Bakerloo line passes deep beneath. 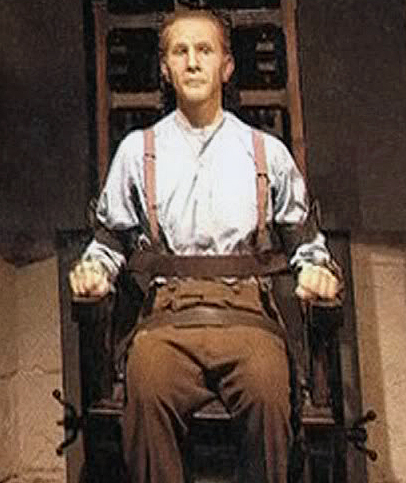 What is unusual is this: when the photo was taken, Karen and her family had not been to Madame Tussauds, let alone take any pictures of figures strapped in chairs. Nor does Hauptmann’s waxwork have electric blue flashes zapping out of his wrists. No evidence of tampering has been found with this image and the only explanation offered so far is that the electrifying image is a poster… although the photo was taken whilst the train was speeding through a tunnel (where, of course no posters are displayed) and neither Madame Tussauds or London Underground have any record of using advertising containing such imagery. 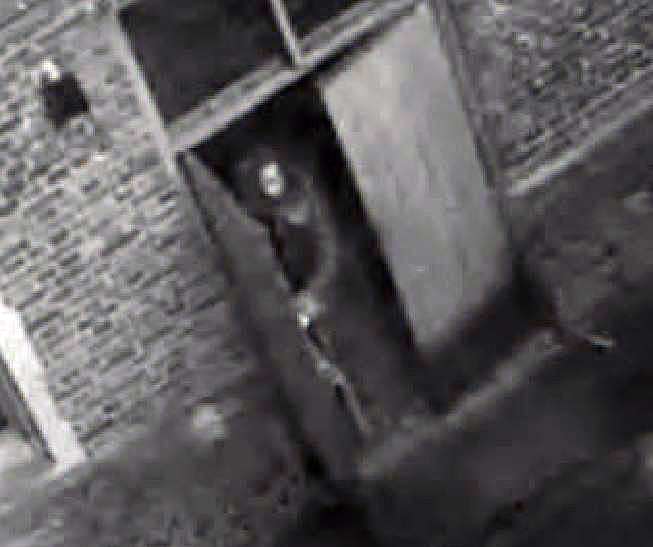 Caught by a remote camera during the early hours, the image above is one of many documenting the case of the ‘Enfield Poltergeist‘ which occurred in suburban North London during the late 1970s. 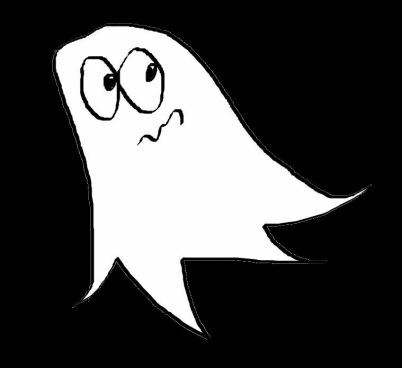 The story of the Enfield Poltergeist is deeply unsettling… either the result of true psychic malice or two supremely manipulative teenagers. A full article- written as last year’s Halloween special can be read here.